Everyone can Samba! Everyone can make a difference! Be part of a world you wish to see! We invite you to jump into our Roda de Sacatar, a membership community of collectors, prominent artists, and art lovers who believe in the power of intercultural exchange to change lives and fuel creativity. These donors provide vital support for Sacatar’s internationally recognized artist residency program in Brazil. The samba de roda is a regional dance native to Bahia from which developed the intricacies of Brazilian samba. An enthusiastic hand-clapping circle of people invites individuals to step into the ‘roda’ or circle to show their steps. Everything is samba! There is no judgment. However, some people samba more than others. We’d love you to be part of Sacatar’s ever growing roda! Support the creation of new works by emerging and established international artists. Underwrite airfare, studio space, and room and board for artists’ residency fellowships at the Instituto Sacatar in Bahia, Brazil. 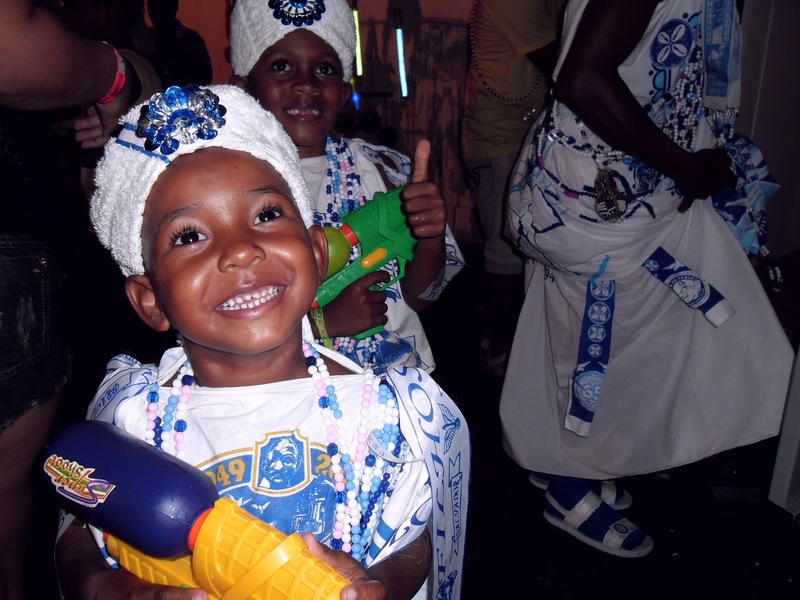 Facilitate logistical support for artists to engage and produce creative projects with school children, community groups, and/or cultural groups in Bahia, Brazil. Promote studio tours, performances, arts education experiences and partnerships with regional and international cultural organizations, museums, libraries, and community spaces. Provide for the ongoing operations of the Instituto and its high-quality facilities and programming. Members of the Roda de Sacatar enjoy exclusive opportunities to meet Sacatar residency fellows during and after their residency experiences at Sacatar events taking place throughout the world each year. Be a global art citizen and get involved as a supporter and enjoy direct connections to Sacatar’s vital work! Invitation to exclusive Roda de Sacatar members-only events and receptions connected exhibitions, performances, and lectures given by Sacatar Fellows in the United States and abroad. Exclusive two-night stay for two guests at Instituto Sacatar oceanside estate on the Island of Itaparica during the Fellows’ residency season (on-site meals and lodging included, all transportation excluded). Exclusive event hosting privileges at the Sacatar oceanside estate on the Island of Itaparica for a group. NOTE: Major donors who gain exclusive event hosting privileges at the Instituto Sacatar may arrange private commemorative events at the Instituto’s estate, including weddings, anniversaries, family reunions or other special gatherings. Please note that the donor is responsible for the cost of the event, including airfare or other transportation costs. Partial or full board at the Instituto can be arranged at an additional cost.